Reports suggest that Paris Saint-Germain striker Edinson Cavani won’t be fit enough to start against Man Utd in their Champions League meeting on Wednesday. The two sides meet in the French capital this week after PSG secured a 2-0 win in the first leg at Old Trafford to put themselves in a strong position to advance to the quarter-finals. With that in mind, they’ll be heavy favourites to advance and so if you fancy betting on football, backing them would be a smart move with the help of the guide linked above. As noted by the Mirror, United have their own injury issues to be worried about, as it’s suggested up to nine first-team stars could miss the second leg this week. However, Thomas Tuchel has suffered a blow of his own as noted in the tweet below regarding Cavani, as it’s suggested that he will only return to full training on Monday and so is a huge doubt to start against the Red Devils. 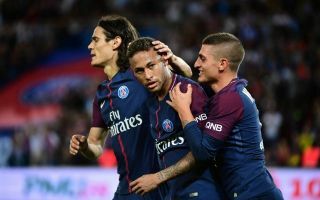 It isn’t ruled out that he could be on the bench and play some part if required, but it is a blow for PSG given the 32-year-old had bagged 22 goals and eight assists in 26 games so far this season prior to sustaining his muscle injury. On the other hand, it could also be argued that it isn’t a major setback given PSG coped pretty well without him in the first meeting with Man Utd, with Kylian Mbappe stepping up alongside Angel Di Maria in the final third to give the Ligue 1 champions their dominant advantage. Nevertheless, particularly in these crunch games at the knockout stage of the Champions League, Tuchel would undoubtedly prefer to have his most experienced and talented players available at his disposal, be it in the starting XI or on the bench. Should he fail to recover in time, Cavani will have to hope his teammates can get the job done and give him the opportunity to lead the line again in the next round.